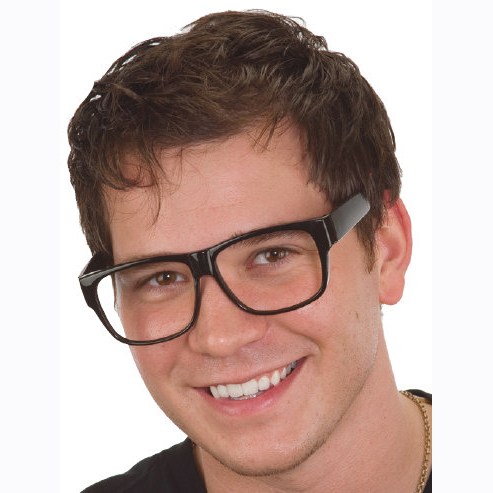 White plastic frame clear lens eyeglasses. 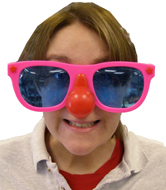 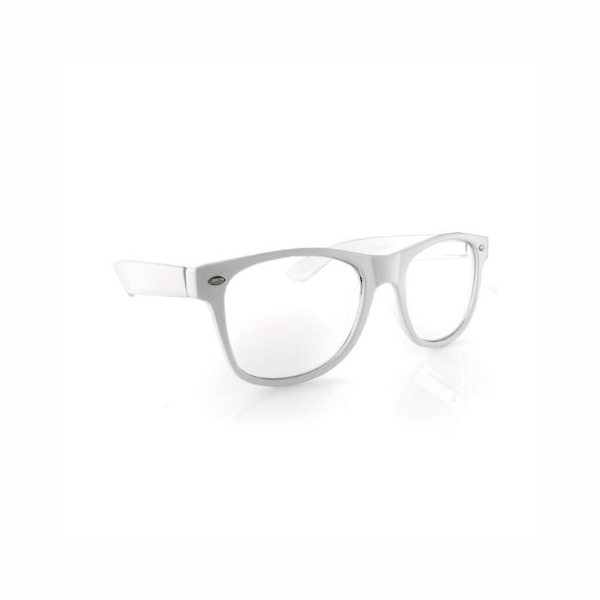 White plastic frame eyeglasses look great as an accessory to many costumes. 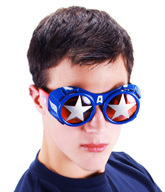 They are also perfect for every day wear.